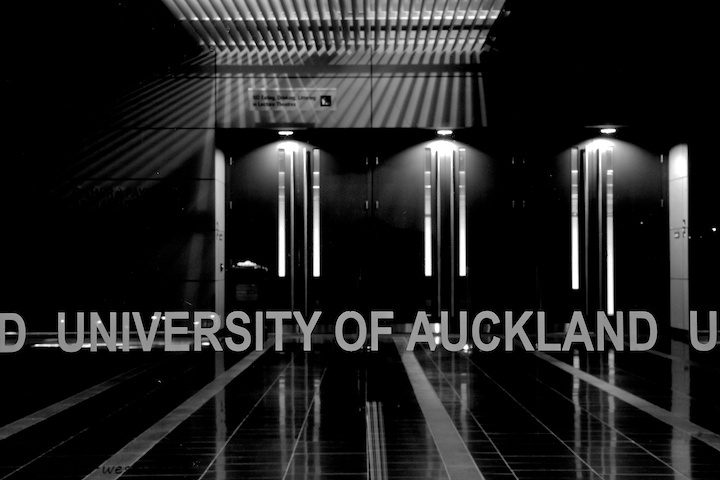 After attending an evening lecture a couple of months ago, I explored the photographic potential of the University of Auckland Business School after dark. This was one of the views. Lachezar’s recent post reminded me of this image in my files. Very creatively chosen point of view and great graphics. The linework looks fantastic in B&W! So many excellent lines. Love it!